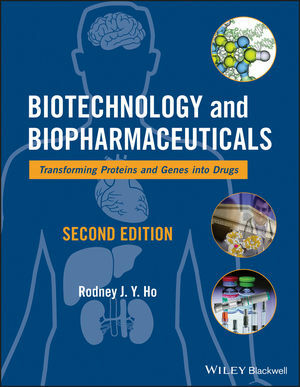 Biotechnology and Biopharmaceuticals: Transforming Proteins and Genes into Drugs, Second Edition addresses the pivotal issues relating to translational science, including preclinical and clinical drug development, regulatory science, pharmaco-economics and cost-effectiveness considerations. The new edition also provides an update on new proteins and genetic medicines, the translational and integrated sciences that continue to fuel the innovations in medicine, as well as the new areas of therapeutic development including cancer vaccines, stem cell therapeutics, and cell-based therapies. Rodney Ho is a Milo Gibaldi Endowed Professor at the University of Washington School of Pharmacy in Seattle. He is founder and principal scientist of Impel NeuroPharma and Nova Theranostics, as well as a visiting professor at the School of Chemical Biology and Biotechnology at Peking University. Dr. Ho co-edited the first edition of "Biotechnology and Biopharmaceuticals", and has served in an editorial capacity for?numerous journals including J. of Pharmaceutical Sciences, Frontiers in Biosciences, and Open Journal: Clinical Medicine: Blood Disorders. Color plate section is located between pages 210 and 211.